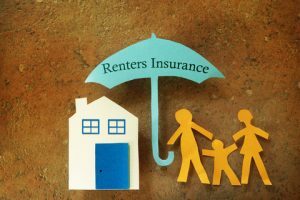 Approximately one third of Canadians are currently renting their home, yet many renters don’t have tenant insurance because they feel it’s not necessary! Tenant insurance offers protection for both you and your belongings, and tends to be much less expensive than other types of home insurance policies since it doesn’t include coverage on the actual building (your landlord’s policy covers that). Considering the affordability, not having tenants insurance puts yourself at an unnecessary risk! Read on for four reasons why you should consider purchasing tenant insurance. 1. Your belongings aren’t protected under your landlord’s coverage. Many renters think that their landlord’s policy is enough – we’re sorry to tell you that this isn’t the case. Your landlord’s home insurance is meant to cover the physical building, as well as personal liability in case that someone is injured on the property. As a renter, having tenant insurance will ensure that your belongings are protected and that you yourself have liability coverage. 2. Your belongings are worth more than you think! Many renters justify not having tenant insurance because they think their belongings aren’t worth that much. You’d be surprised how quickly things like jewelry, books and small kitchen appliances add up. Tenant insurance can offer you peace of mind knowing that in the event of fire or theft, your possessions are protected. 3. You need liability protection. You are financially responsible for any property damages or personal injuries that you cause. For example, if you forget to turn off your kitchen tap and it caused water damage to another unit, you would be on the hook for all repair costs. The good news is that these costs would be covered through your tenants insurance policy – if you have one that is! 4. Stay afloat even after disaster strikes. In the event that your home is damaged to the point that you need to stay somewhere while repairs are being made, your tenant insurance will cover some of the additional living expenses and other unforeseen costs. Each policy’s limits are different, so it’s a good idea to chat with your broker to learn the specifics of your policy. Don’t put yourself and your belongings at risk – contact the team at ARC to learn more about tenant insurance today!